This paper examines how video can be used to help pre-service and in-service teachers learn to notice what is happening in their classrooms. Data from two related studies are presented. In the first study, middle-school mathematics teachers met monthly in a video club in which they shared and discussed excerpts of videos from their classrooms. In the second study, a group of pre-service high-school mathematics and science teachers used a new video analysis support tool called VAST to examine excerpts of video from their own and others’ classrooms. In both cases, there were changes over time in what the teachers noticed and in how they interpreted these events. This research adds to our theoretical understanding of the role of video in teacher education and also provides direction for the development of new forms of video-based professional development activities. Sherin, M. & van Es, E. (2005). Using Video to Support Teachers’ Ability to Notice Classroom Interactions. 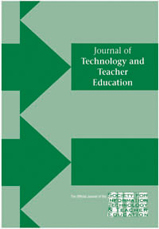 Journal of Technology and Teacher Education, 13 (3), 475-491. Norfolk, VA: Society for Information Technology & Teacher Education. Retrieved April 24, 2019 from https://www.learntechlib.org/primary/p/4824/. American Association for the Advancement of Science (1993) . Benchmarks for scientific literacy. New York: Oxford University Press . Hammer, D. (2000). Teacher inquiry. In J. Minstrell& E. Van Zee (Eds.) , Inquiring into inquiry learning and teaching in science (pp. 184-215). Washington DC: American Association for the Advancement of Science. Ma, L. (1999). Knowing and teaching elementary mathematics: Teacher understanding of fundamental mathematics in China and the United States. Mahwah , NJ: Lawrence Erlbaum. National Council of Teachers of Mathematics. (2000). Principles and standards for school mathematics. Reston , VA.